Why, you may ask, take on this unpleasant, frightening subject? Why stare into the sun?” - Irvin D. Yalom, Staring at the Sun: Overcoming the Terror of Death. Lathrop, a registered nurse, holds a certification as a Sacred Passage Doula — caring for people who are in the process of dying — and is co-founder of Asheville’s Third Messenger, a community of Asheville death-issues activists who have created a forum for conversations about death at the so-called Death Cafe. Lathrop is also part of a growing national community that works in “the death trade” — people dedicated, he notes, to broaching the conversation of death and dying within a culture that prefers to speak about virtually any other subject. Lathrop first began that conversation on the heels of his own significant loss. 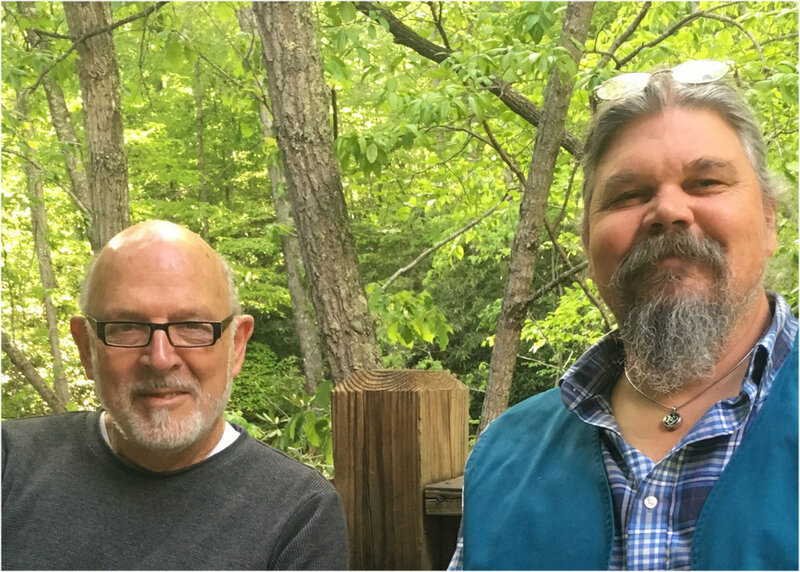 Synchronistically, the death of Lathrop’s wife and the passing of Third Messenger co-founder Said Osio’s daughter propelled the two men to join forces in end-of-life activism. To Asheville locals and tourists alike, Third Messenger’s work may be most visible in what has become a landmark Biltmore Avenue structure. Ministered to for years by Earl Lee “Happy” Gray (before his passing in October 2016), the “Before I Die” wall poses passers-by one simple question: What have you left undone? Not surprisingly, responses range from the mundane to the profound, reflecting our culture’s divisive relationship with the end of life. Yet the wall serves as a catalyst, the beginning of what Third Messenger views as a critical and much-needed conversation. “We cultivate the sacred art of being with dying — we use art to engage the conversation,” says Lathrop. Dr. Aditi Seth-Brown, hospice and palliative care physician at CarePartners, agrees: “Many years ago, there were so many intergenerational families and communities, so death was something that young children were around and saw — life happened around death.” As a result of an unfortunate marriage of families living farther apart and a highly individualistic culture, Sethi-Brown now frequently encounters many individuals who have virtually no experience with the process she views as an inextricable part of life. Loveless’ childhood fear of death is far from uncommon. Recent studies show that children as young as 5 express substantial “death anxiety.” The results of one such study indicated that a mature relationship to dying (understanding death as an inevitable biological event) correlated with a decreased fear of death. Is it any surprise, when many children are now inoculated from the natural rhythms of life, that they fear, rather than revere, that great unknown? The reality is that “we don’t even have a language for dying,” says Lathrop.